In a previous blog, my colleague talked about the use of bot technology to enable customer service representatives (CSRs) to be more effective when handling so many calls. What if I told you that tomorrow’s solution is to simply reduce the number of incoming calls? This may seem easier said than done, but by utilizing bot technology, customers can be empowered to resolve their own issues. Bot technology included in the Nokia Service Management Platform (SMP) integrates with web-chatting platforms like Facebook Messenger to trigger service requests. Customers can trigger automated processes whenever they encounter a problem with their service simply through a human-like conversation based on text messages. Intelligent Virtual Assistants (IVAs) like Amazon’s Alexa can also be used to trigger service requests by giving a voice command. According to many communications service providers (CSPs) that I speak with, a common customer question is “I have a service appointment today. When is the technician scheduled to arrive?” Understanding the intent, or purpose of the customer’s request, is the biggest challenge for bot technology as well asassigning priorities. An intent represents a mapping between what a user says and what action should be taken. For example, when a subscriber asks “What is my guest Wi-Fi network password?” or “Why is my Internet connection not working?”, the customer care system must be able to interpret the specific intent of that request, then map it to the appropriate remediation procedure. Therefore the quality of the “understanding” results both from how well the system understands individual sentences and how well it guides the user through questions and answers (workflow) that helps address the issue. In fact, bots can provide superior service compared to what is currently available. Customers can be validated quickly by bots, instead of having to press 1 for this or 2 for that using an interactive voice response (IVR) system. A bot can also answer customer queries instantaneously, rather than making them wait for the next available agent. Oftentimes, subscribers don’t even realize that they are interacting with a bot; it’s just a seamless customer service experience. To learn more about how Nokia is using bot technology, read our artifical intelligence white paper. Because bots are capable of handling a large volume of customer queries, CSRs are left with more time to handle complex tasks. It’s here that we see the power of omni-channel customer care. Before, customers had to explain their situation to the CSR, who would then have to guess the next best steps based on a fixed procedure. 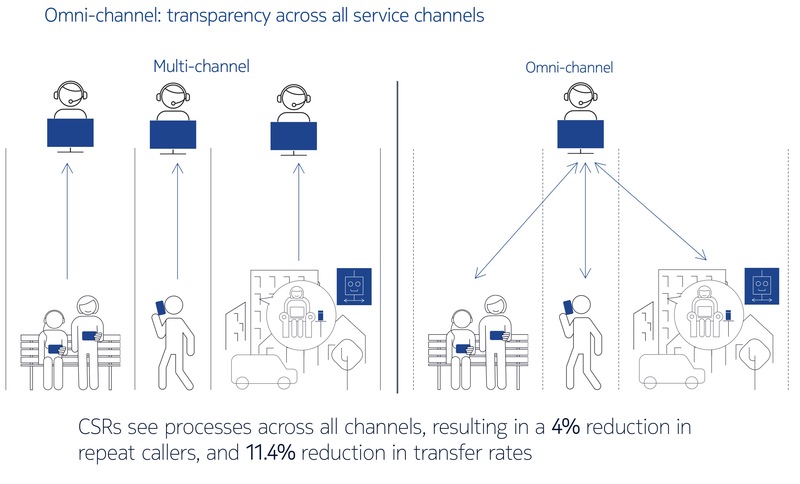 A true omni-channel solution provides transparency across all channels. If a customer contacts the call center, the CSR can see what steps have already been completed using another channel and will not prompt the customer to repeat those steps. This results in an 11.4%reduction in call escalation rates as the CSR is always equipped with the right information. The subscriber doesn’t lose any progress already made and the CSR gets a head start in delivering a solution. 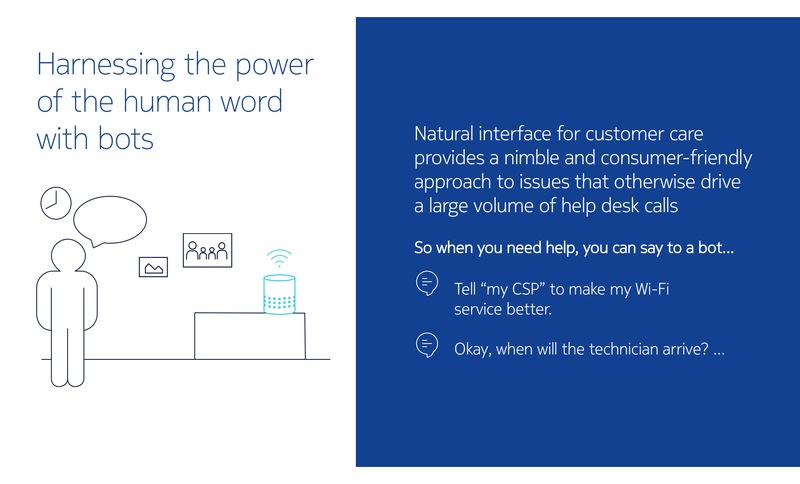 This shift toward self-care — enabled by Nokia SMP and bot technology — is known as semi-autonomous customer care. You don’t have to look too far into the future to see bots solving issues proactively, without the need for customer or CSR input. Stay tuned to this channel, where we will continue to explore possibilities and use cases. Laurent is a self professed tech-evangelist who drives Nokia’s Autonomous Care strategy and boasts an impressive track record of technology innovation, product incubation, product management and managing fast-moving international teams. He is a DevOps enthusiast, practitioner of rapid software development, and passionate about mathematics, artificial intelligence and cosmology.